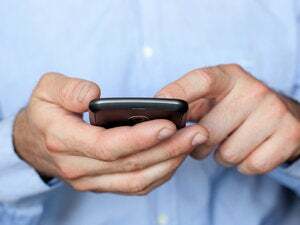 AT&T now has a way to use the same phone number for all your connected devices, a capability that could simplify some subscribers’ lives but may have more to do with the carrier’s own goals. The new service, called NumberSync, lets subscribers assign their primary phone number to wearables and other devices via AT&T’s network. It’s a technical leap beyond the legacy numbering system to help subscribers—and AT&T—take advantage of the Internet of Things. With all your devices reachable with the same number, you’ll be able to make and receive calls and text messages from devices like tablets and smart watches even when they’re not tethered to your phone at close range. Your gadgets can stand in for your phone when, for example, you want to go out jogging with just a watch. And your contacts will see your usual number when you reach out to them. NumberSync could be useful for people who want to go out without a phone or sometimes forget it at home. It could also make it easier to use connected devices, because they won’t have to be tethered to the phone via Bluetooth. The ability to hop in the car and make calls without having to go through Bluetooth pairing could be a plus for some users. But in the larger scheme of things, NumberSync assumes you want to do things AT&T’s way. If what you want to use for voice and text on your connected devices is traditional phone calls and SMS (Short Message Service), it’s great. But there’s a whole universe of tools, like Skype, WhatsApp, and Facebook Messenger, that can do those same jobs over any kind of Internet connection without the need for a phone number. “They’re catching up to what others have already,” said analyst Roger Entner of Recon Analytics. AT&T is overhauling its whole infrastructure so it can quickly develop and roll out new kinds of services, but SMS and true cellular phone calls are two things its Internet rivals don’t offer. The carrier is also expanding voice calls to Wi-Fi. With one user identity for all of a subscriber’s devices, NumberSync could make those bread-and-butter services easier to use and less locked down to devices. So-called OTT (over-the-top) services are giving mobile operators like AT&T a headache because they treat carrier networks as just a pipe for bits. Any other path to the Internet, such as a public Wi-Fi hotspot, can serve essentially the same purpose as long as it has sufficient performance. That equation changes outside of Wi-Fi range, where a cellular network is often the only game in town. But there again, NumberSync starts to look like a pretty good deal for the carrier. That’s because AT&T doesn’t charge subscribers to connect a watch or an in-car hands-free system to a phone over Bluetooth. It does levy a monthly fee for connecting an additional device to its own network, even if it’s using the same phone number. Partly for this reason, many wearables and other IoT devices don’t have their own LTE radios, though some use older 3G technology. LTE hardware adds bulk, cost, and power consumption to these small devices. That’s why most watches don’t come with LTE and most tablets are purchased with only Wi-Fi and Bluetooth. When AT&T starts selling the LG Watch Urbane 2nd Edition LTE, it will be the carrier’s first watch with LTE. But it’s early days for wearables, and over time there are likely to be more that can stand alone. For subscribers who want untethered gadgets, NumberSync should make the whole experience easier. AT&T expects to launch NumberSync on a device “fairly soon” and says it’s working with manufacturers to have the service included in others. More NumberSync products should be launched around the year-end holidays, the carrier said.